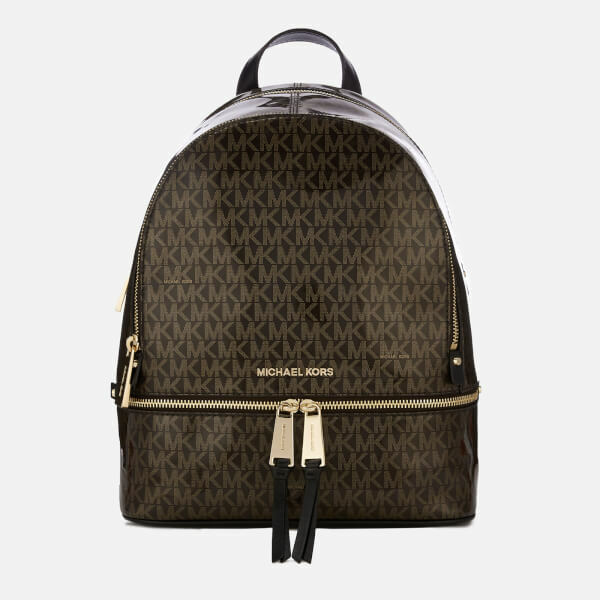 A luxe-inspired design, with its signature monogram logo print, embodies the MICHAEL MICHAEL KORS ‘Rhea’ backpack. 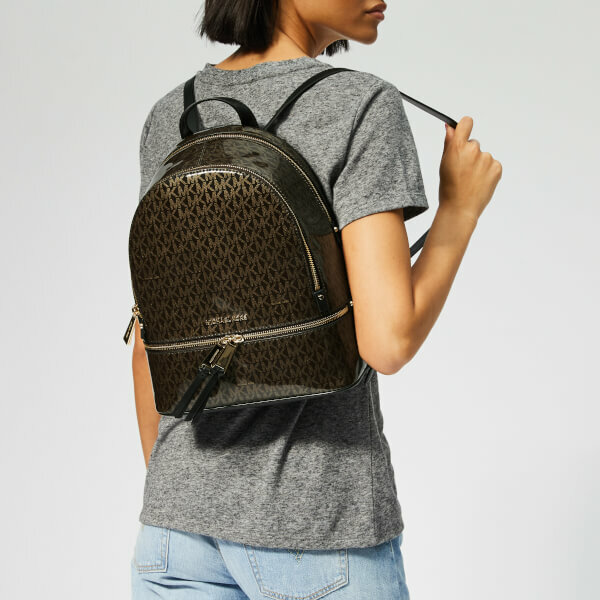 Crafted from glossy fabric, the backpack has a gold-tone and brown palette with curved edges. The main zipped compartment contains a zip pocket, a large slip and four smaller slip pockets. Accompanied by a zipped pocket on the base and a further zipped section on the front, which is padded inside. Accented with gold-tone hardware.